loss or theft of money, passport or personal possessions. an “ongoing” policy, often linked to a bank account or a credit card. Travel insurance can cover worldwide travel – or be limited to travel within the UK or another geographic area (for example, Europe). It is often (but not always) sold alongside a holiday, when it is known as “connected” travel insurance. Specialist policies are also available, such as gap-year insurance, policies for customers over a particular age, and policies for customers with pre-existing medical conditions. Travel policies are far from straightforward – as they cover a wider range of risks than any other type of insurance. There are many types of cover provided – and it is common to see other “optional extras” as well, such as winter sports cover. For many customers, travel insurance may be the most complex financial product they purchase during the year. But it is often seen as just an “add-on” to a holiday. Many customers expect travel insurance to cover any and every eventuality. But travel insurance policies contain strict limitations and exclusions as to the cover provided and the amounts the insurer may have to pay. These are often not discovered by the customer until they need to make a claim – and they form the basis of many of the complaints we see. We realise that travel insurance claims are often stressful. So we make allowances for the difficulties both insurers and customers can have in sorting the situation out – where the surroundings may be unfamiliar, information may be limited, and time zones may be different. This section of our website sets out the main complaints we see about travel insurance and what our approach is in these situations. One of the most difficult problems we see is the issue of people with pre-existing medical conditions. We also see many complaints relating to the terms and conditions of the policy. When the complaint is about policy exclusions or limitations, we take into account any advice the seller of the policy may have provided – and whether there is evidence that unusual or significant exclusions or limitations were drawn to the customer’s attention. There are many reasons for cancelling a holiday or trip before it starts. Nearly all policies provide cover for cancellation due to the illness, injury or death of the policyholder (or of a closely connected person, such as a near relative). Cover for other situations varies from policy to policy. But many circumstances are excluded by insurers. Policies usually include a list of the situations when the policyholder can claim, but it is usually quite limited. Exclusions for an existing medical condition can be a problem (so-called ” pre-existing medical conditions“). These are not limited to medical conditions that have already been diagnosed. They may also apply to symptoms for which the customer has seen a doctor before buying the insurance – but where the cause of the problem has not yet been diagnosed. We may have to consider whether the policyholder should have disclosed this information to the insurer when taking out the policy. The exclusions for pre-existing medical conditions may be more onerous when the person who is ill is not the policyholder, but a family member or someone who was going to travel with the policyholder. Most of us don’t have full details of other people’s medical history. So when we investigate complaints like this, we may need to make detailed enquiries into the state of health of the person concerned – and also what the policyholder should reasonably have known about it. Policies normally also include cover for cancellation due to missed departures – although the cover provided is generally very limited. Cancellation because the policyholder has changed their mind – for example, because a relationship has ended – will not normally give rise to a valid claim. The cause must normally be one of the reasons specified in the policy. When asked when the policy should start, many policyholders say the start date of their holiday, rather than the day they booked the holiday. This can become a problem when the policyholder has to cancel the holiday before they go. In these circumstances, the insurer may refuse to pay any cancellation costs because the policy cover hasn’t actually started. As this can have significant consequences for policyholders, we expect insurers and insurance sellers to bring the importance of the policy start date to policyholders’ attention when they are buying or renewing their insurance policy. WH received around 700 complaints from consumers about travel-insurance claims involving volcanic ash – following delays and disruption to travel caused by a volcanic eruption in Iceland in 2010. In March 2011 we made a key ruling which illustrated many of the issues involved – and found in favour of the consumer in that case. This did not mean that everyone bringing an “ash-related” complaint had their complaint upheld – or had their claim paid in full. Each individual case needed to be considered on its own particular facts – taking into account specific exclusions, limits and policy terms that applied. We expected travel insurers to use this ruling as a guide to the ombudsman’s general approach to resolving these kinds of complaints. However, in June 2011 Europ Assistance launched a legal challenge (“judicial review”) against us on this ruling – which resulted in 300 consumers’ complaints being put on hold until the legal action was settled. In January 2012 the Court rejected Europ Assistance’s legal challenge. Europ Assistance confirmed that they would not pursue their legal action and that they would now handle complaints in line with the ombudsman’s decision. The insurer is relying on an exclusion clause relating to pre-existing medical conditions and won’t pay the claim. The insurer says it was not “medically necessary” for the policyholder to cut short their holiday. Travellers who are unwell are usually advised to consult their insurer’s hotline so the insurer can decide what to do. Some travellers return home without phoning the hotline, saying that their illness wasn’t sufficiently serious. In these cases, we look at whether they actually needed to end the holiday and return home. But we do not agree that the consumer’s claim should fail automatically if they did not contact the hotline. When a seriously ill traveller is confined to their hotel room – but not hospitalised or repatriated – we will consider whether a claim for curtailment should be paid on the grounds that, effectively, their holiday was cut short. We will also look at the insurance claim made by any fellow traveller. But we will only consider upholding their complaint if we are satisfied that there was a medical need for them to stay with the policyholder. As with complaints relating to cancellation of a holiday, the situations in which a policyholder can claim for curtailment are quite limited. When we consider complaints like this, we look to see how clearly the terms relating to curtailment were set out in the policy documentation and brought to the policyholder’s attention when the policy was bought or renewed. This is an important (and expensive) part of any travel insurance policy that covers medical costs incurred through illness or injury while on holiday. Medical costs vary around the world. In countries like the USA, where healthcare must be paid for, medical expenses cover is vital. The cover is also designed to meet the cost of other expenses such as air ambulance or repatriation. Cover for medical expenses can be a problem for policyholders who have illnesses that started before they took out the travel insurance (so-called ” pre-existing medical conditions“). decide whether the injured or ill person is fit enough to travel. the insurer should have paid for appropriate treatment or services. We look at the circumstances surrounding the claim and the relevant policy wording to decide whether we think the policyholder’s claim should succeed or not. the insurer’s position has been “prejudiced” (adversely affected) as a result. We see many complaints involving luggage. This includes disputes about lost luggage (including personal possessions) and delayed luggage. Insurance policies have limits on what they will pay out for lost or delayed luggage. These limits vary from policy to policy and are limited to “depreciated” rates – not “new for old”. Insurers will also exclude claims in certain circumstances, such as the luggage being left unattended. is offering less for the item than the policyholder paid for it. Some policyholders may think that their household contents insurance policy will cover their personal possessions against all risks anywhere in the world. But this is often not the case, unless the policyholder has paid an additional premium. Travel insurance policies generally provide some limited cover for personal possessions – but the limits are usually lower than those for household contents insurance policies. If the travel policy covers only part of their actual loss, consumers may be able to recover the rest under their household insurance. When we consider insurance complaints involving personal possessions, we look at how the luggage or possessions came to be delayed, lost or stolen. We also look at what the policy says the policyholder should do in these circumstances, whether this is reasonable and whether the policyholder did this. We take account of more stringent requirements usually imposed on anything defined as “valuables”, so long as these restrictions have been highlighted. We sometimes see complaints that the insurer is refusing to meet a claim because of what might seem like a technicality to the policyholder. In these cases, we look at what the insurer is asking for and whether the policyholder’s actions “prejudiced” the insurer’s position. In other cases, the consumer sometimes gives conflicting accounts of how the loss or theft occurred. If they cannot explain inconsistencies like this satisfactorily, we may come to the conclusion that they have failed to show an “insured event” occurred. Many of the cases we see involve disputes over “pre-existing” medical conditions. These are medical conditions the policyholder already had when they took out the insurance – or had previously. Insurers can exclude cover for any illnesses arising from these conditions – or they may cover them for an increased premium. Given the impact of these terms, they are potentially onerous for the policyholder. So when we look at complaints involving pre-existing conditions, we look at how clearly the insurer brought any exclusions or limitations to the policyholder’s attention, when the policy was sold or renewed. Our view is that this responsibility cannot be delegated to the consumer by advising them to read the policy. whether the consumer withheld information – and if so, why they may have done this. We generally expect consumers to disclose pre-existing medical conditions if the relevant question is asked. This is usually when the policy is first taken out and when a claim is made. But it may also be on renewal, if the policy is an annual travel policy. If the insurer requires disclosure at any other time, we normally take the view that this must be made clear so that it is understood by the consumer. We usually consider that such an obligation applies only if there has been a fundamental change in health, such as a heart attack or a diagnosis of cancer. Some insurers try to exclude from cover not only pre-existing medical conditions but also any medical conditions that arise between the start of the policy and the start of the trip. We generally take the view that this is not fair and reasonable – particularly if these terms were not brought to the consumer’s attention when they took out or renewed the policy. Alternatively, when a trip is cancelled or curtailed due to a connected person’s medical condition, the insurer may refuse a claim – if it says the policyholder should have informed it of the situation at the earliest possible stage. We agree that a policyholder should not delay in cancelling their holiday once they are aware they need to. But this may not always be immediately apparent when someone else’s state of health is involved, particularly if there is no cause for concern at the onset of the condition. If there has been an unjustified delay, we may decide that the correct outcome is for the insurer to pay the cost of cancelling the holiday at the earlier date, leaving the consumer to meet the rest of the cancellation costs. Sometimes the problem of a pre-existing medical condition comes to light only when a consumer cancels the holiday because it has become medically necessary – and they then try to claim the costs under the insurance policy. Technically the insurer would be entitled to avoid the policy (in other words, to treat it as though it had never existed) because the policyholder had not brought a significant change in their health to the insurer’s attention. Usually insurers decline the claim, relying on the exclusion clause relating to pre-existing medical conditions. If there is no evidence of deliberate non-disclosure by the consumer, we normally expect insurers to offer to pay an amount equivalent to the costs of cancelling the holiday at the time the policy was renewed – at which point the policyholder could have disclosed information about the changes in their health. they are on a waiting list for tests or results. Once the insurer knows the extent of the existing condition, it can then decide whether to insure the policyholder for this condition (usually at extra cost to the policyholder) or exclude the condition from cover. In some cases, the insurer may decline to insure the customer at all. limitation clauses, such as monetary limits on lost possessions. In the cases we see, where a term was likely to have been onerous for the policyholder, we usually expect it to have been brought to their attention when they took out or renewed the policy. As more consumers buy travel insurance online direct or via price comparison websites, we take the view that it is more important than ever that insurers bring potentially onerous policy terms to the attention of customers when they take out travel insurance policies. This helps to overcome the problems caused by the difference between the consumer’s expectations of what the policy will provide and the actual cover offered. 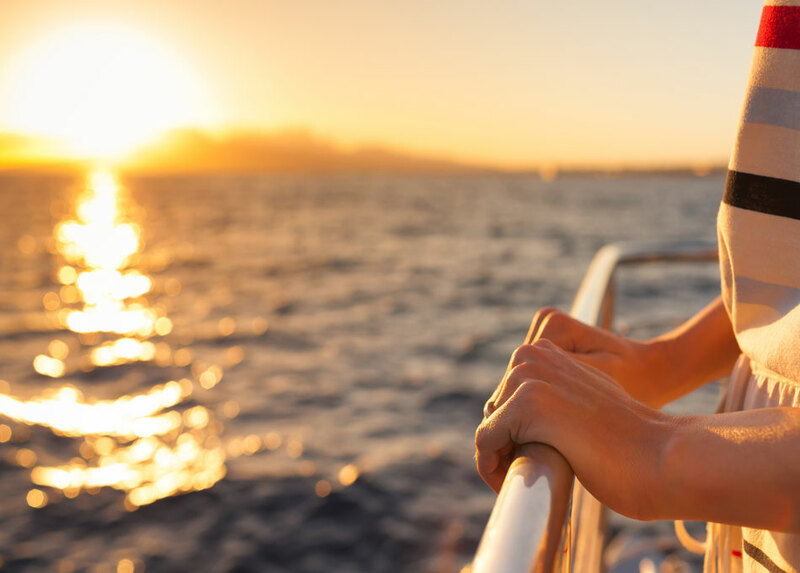 We expect policyholders who require cover for “adventure” holidays to make sure they have told their insurer about all the activities they have planned. If they don’t, the insurer may refuse to pay out any claims. We also expect insurers to be clear about what activities they consider to be “hazardous” – as this could mean something different to different policyholders.